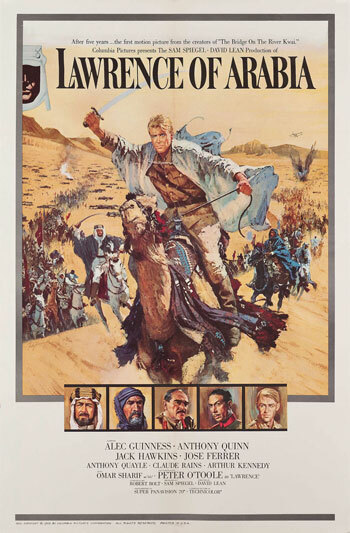 Peter O’Toole, Alec Guinness, Anthony Quinn, Omar Sharif, and Claude Rains. Epic films often trip themselves up by focusing too much on the scope and grandeur and not enough on the intimate character details. Not so with this legendary adventure, thanks in large part to Peter O’Toole’s titanic performance as the hero of the title. No matter how vast the scenery, we never lose sight of the man.